Sandvik is a Sweden based high tech engineering company, founded in 1862. Its business is organized into 3 areas i.e., R&D, production and sales of industrial tools. It extends its industry offerings to various sectors like Aerospace, automotive, construction, mining, renewable energy sources etc. The company has approximately 8000 patents and has invested approx. 3.5 billion SEK in its R&D. This has helped the firm to build a world leading position in industrial tools and equipment. It has also planned to digitise its logistic process by entering into a partnership with James Donald Armstrong (JDA) cloud services. The firm also believes in providing sustainable solutions which helps them to raise competitiveness, save the costs to the company and reduce the environmental impact. 1. Robust Investment in R&D: Sandvik has approximately 60 R&D centres across the world with an approx. of 3.5 billion SEK investment in R&D. 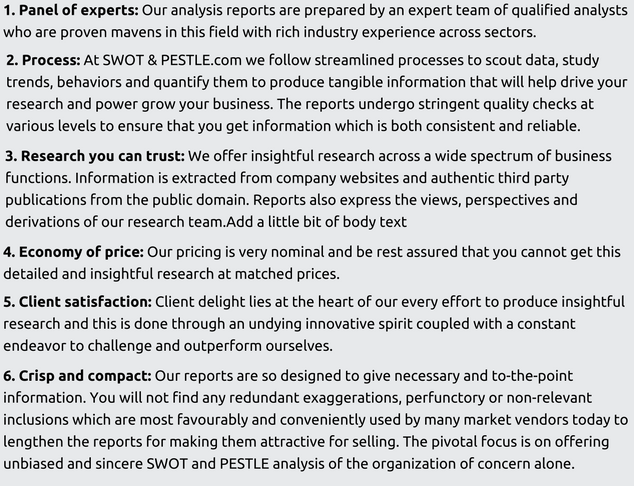 This has helped the firm to get 8000 active patents which are continuously reviewed to optimize its business. The company plans to focus on additive manufacturing so as to understand its potential in its manufacturing process. In order to tap the potential in the emerging markets the company has focused to open its investment centres in India and China. 2. Sustainable approach in its investments: Sandvik is amongst the top 10% companies in its category on the sustainability index. The company believes in focusing on the recycling of material which in turn has helped the company to save on costs. For example, the company has a program for used cement carbide tools so as to convert its waste to raw material for reuse which in turn contributes to the efficiency. Out of the 17 Sustainable Development Goals (SDGs) defined by UN, Sandvik aligns its products to 10 of them. For e.g., its alignment to goal 9, i.e., Industry, Innovation and Infrastructure has helped the company to build Sandvik Hiflex designed for compressor valves which helps to increase the life span of compressors and also reduce noise levels. Also, the company aims to reduce its carbon emissions by 20% by 2020, it helps them to ensure affordable and clean energy. 3. Increased operating margin, growth rate and order intake: For Sandvik Rock and Mining Technology the order size improved by 18% and for the overall business, the order size increased by 13% for Q3 of 2017 overall with Australia promising largest order intake growth at 37%. Year-on-year orders improved by 9% in Europe, 12% in North America and 14%in Asia hiking group revenue FY16 by 40% in Europe and 20% each in Asia and North America. Over the past 4 years if we compare the 3rd quarter results, the order size has improved for all its divisions. With Asia being one of the growing market, the company reported highest growth in the Asian region at 14% rate. Also, the firm reported an increase in its operating margins (EBIT %) which is also reflected in its past 4 years quarterly results. Quarter 1 for year 2017 reported the maximum margin of 16.1% in past 15 quarter results (Q1 2014 – Q3 2017). 1. Strong competition from other companies: While Sandvik has been growing rapidly with its sustainable approach, other companies like GE, Siemens, 3M are way ahead when it comes to the portfolio of products being offered. These companies have adopted digitisation way before Sandvik has adopted. GE’s Industry 4.0 is an initiative under which the company is not only going technically strong but also strengthening its digital base. Also, its competitors (3M, Siemens, GE, Honeywell automation) are large conglomerates who have expanded their portfolios into many other businesses which gives them high market capital. As per the morning star report, on one hand where Sandvik has approx. 24K MSEK as market capita, its competitors operate at a market capital which is almost 4-5 times of Sandvik. 2. Mismatch of Skills: One of the biggest issues in Sweden is the talent mismatch which means that there is a huge mismatch in the skills and types of jobs available. The root cause for the problem can be explained by the lack of proper skill and knowledge about the sector. This limits the options available to the firm in terms of increasing its manpower in R&D and other technical aspects. As per Hays Global Skills Index 2017 report, Sweden’s overall skill index has raised from 6.8 last year to 7.0 this year. This means that high skilled industries are struggling to find the right match for the roles. One of the key reasons is the inflexibility in the education system. The system fails to adapt to the labour market needs and as a result, job switching of a skilled worker demands huge raise. Among the OECD countries, 4 countries i.e., US, UK, Canada and Australia accounts for approximately 70% of the immigrants educated to university level. This is mainly due to the number of universities available and hence it makes easier for these countries to target skilled workforce. If we compare the talent mismatch index, it comes out to be 9.8 for Sweden whereas the index is 5.5 for Canada and Mexico is 4.6. For countries like China, the index is 3.8 which indicates high level of talent match and availability of skilled force. With Sandvik seeing highest growth in Asian regions, this could also add to the company’s benefit in the long run. 1. Impact of Brexit: Britain was the fastest growing economies among the EU members and for the Swedish companies it has been the most important foreign market. There has been a high demand of the products and services provided by the Swedish companies in UK. In the short run there hasn’t been any major impact of Brexit on the Swedish companies, but yes, the future prospects completely depend on the new trade agreements that will designed between Britain and EU. Even the British companies will try to invest in the existing industries in the Swedish market to access the internal market, so this would attract direct investment. 1. Trade relations with US: Sweden is an open economy. Trade is very important for the nation as the total value of the imports plus exports accounts for 86% of the country’s GDP. The total expenditure of the Swedish government accounts to 51.1% of the total output(GDP). Companies like Sandvik have sailed away well during the economic crisis of 2008 in Sweden. On the trade front, Sweden is the 12th largest direct investor in US. It creates lakhs of jobs in almost all the 50 states of the USA. The Transatlantic Trade and Investment Partnership, which is currently under negotiation between USA and EU will help to generate more business for both the sides as it is expected to create around 2 lakhs new job for both the parties. 1. Status of Equality between male and female employees: The gender based pay gap exist in the industries of Sweden as in most of the other countries of the world. This pay gap prevails due to uneven concentration of the male and the female employees in various sectors or because of the placement of employees at different level of hierarchies. In Sweden it mainly happens due difference in pay levels of the male and female dominated sectors. Sandvik also needs to take care of the pay level gap between the male and the female employees of the organization. Though it operates in multiple countries, the company has followed and respected the tradition of following the cultures and traditions of that country. It has always respected the views of the people as it does affect the overall functioning of the organization. 2. Strong compliance to labour laws: Along with local laws and regulations of any particular country, Sandvik follows the international conventions like the labour legislations, human rights legislations laid by the UN and ILO. Sandvik not only follows strict rules against forced/compulsory labour within the organization but also amongst its suppliers and vendors. It has its code of conduct policy and Supplier code of conduct breaching of which by any manager/supplier/employee can be reported by their reporting tool SpeakUp and allows anonymous reporting. 3. Difficulty in getting a job for non-EU citizen: The country has stringent rules for non-EU citizen which makes the labour market tougher. As per the recent report, for Swedish citizens the unemployment rate is below 7.5%, it crosses 20% for that of non-Swedish citizens. The major reason for this gap is lack of mismatch between the skill required and the lower level education qualification in the immigrants. Due to this talent mismatch, it is difficult for home grown Companies in Sweden to find the right skills to boost their workforce. 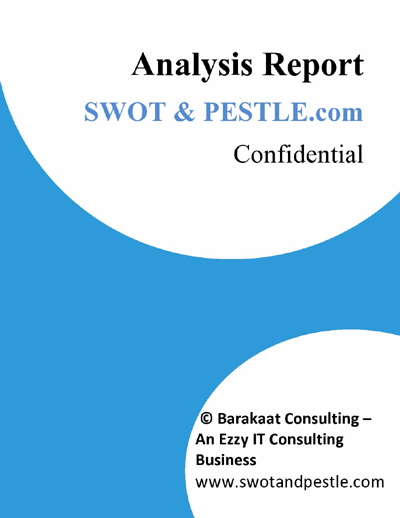 Sandvik SWOT and PESTLE analysis has been conducted by Akshita Chhangani and reviewed by senior analysts from Barakaat Consulting - an Ezzi IT and Business Consulting venture. 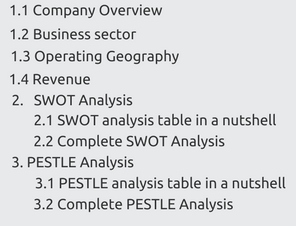 Copyright of Sandvik SWOT and PESTLE Analysis is the property of Barakaat Consulting. Please refer to the Terms and Conditions and Disclaimer for usage guidelines.